The epic historic-drama flick witnessed an average opening day in India. According to early trade estimates, it will be able to mint around Rs. 9 crores (domestic). However, the official and updated figures of Mohenjo Daro collection will be made available tomorrow morning. The talkie started with a poor occupancy of 25 percent on an average for the morning shows. Later on, it increased as the day progressed from noon to evening time. Single screens suffered while multiplexes got a stronger grip. The metro cities witnessed a good increase in the occupancy for the Hrithik Roshan’s latest released. It got a strong hold from the early evening shows itself. However, it seems that Ruston has beaten it. Only in the Southern India, it was stronger than Rustom. Thus, it will earn more than its competitor. Hrithik’s latest venture is facing fierce competition from Rustom starring Akshay Kumar. The credit goes to the better way of promotion strategy and the better promos it got than its competitors. On the reviews part, Rustom too received mixed reactions. However, it has reduced movie collection by a significant amount. Mohenjo Daro box office collection for day 1 is said to be poor considering the fact the earlier movies of Hrithik got a way better openings. He did his last movie after a gap of two years. The opening day has shown that promos matter over star power. Mohenjo Daro first day collection will be 8th highest for the year after Baaghi and Dishoom. The first week for the both the films will see some holidays. 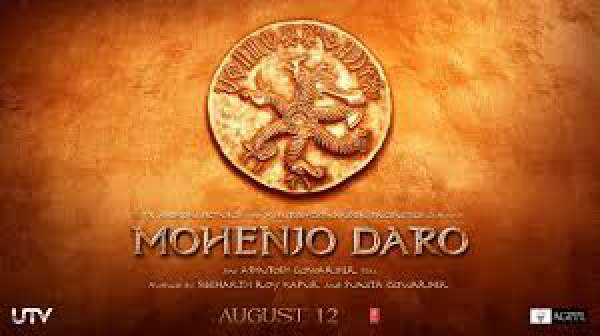 So, we can expect that the figure for MohenjoDaro opening collection will increase by a considerable amount. However, the film will be able to get the maximum benefit of these holidays even it gets the good word of mouth. There is still hope for it to do well. Saturday and Sunday, the two upcoming days, i.e., MohenjoDaro first weekend collection will decide its fate. Let’s see how much it earns in its entire lifetime run. Rustom seems to have got better of it because of its better promos and star power. Let’s see how and what role does its word of mouth plays tomorrow. Hrithik starrer will have to get more than 60 percent occupancy to do some decent business, otherwise, it will remain dull.